so i have seen guys running alternators on their clone swaps but how are you getting the extra v-belt pulley on the clutch? know the original one had one with it but mine is shot and have picked up a clutch kit already. is there a way to add one or will have to order an original? huge difference in price. Vegascarts has a billet unit. I don't know if they still sell the original cast unit which was pretty cheap.P.S. I see they sell them on E bay for $17.50 with free shipping. Found it, thank you. That makes it alot easier. If I understand correctly, you reduced the collar width to reduce the space it would take up on the shaft? That'w what I did on mine. My pulley was purchased from a store here in Ontario that's like Harbor Freight in the US. It was $15. I ended up with the clutch about 3/4" further out on the shaft so I had to move the engine over so the clutch belt lined up again. My 'cradle' is just a 1/2" thick aluminium plate. Not adjustable but works pretty well. 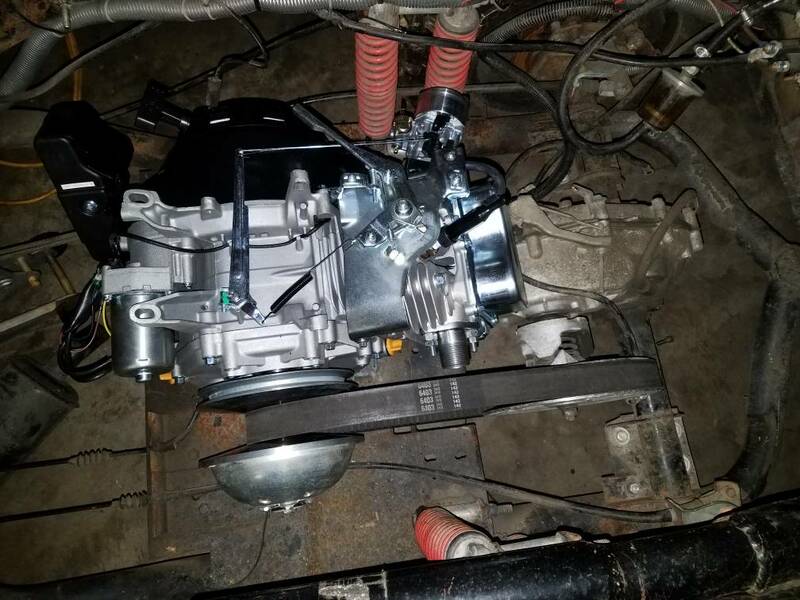 Here is my 15.00 ebay special on the Predator 420 I am buiding..
Where do you plan on mounting your generator? I tried positioning mine up top where the original gas tank was on the clone but it was too high to clear the cart seat. 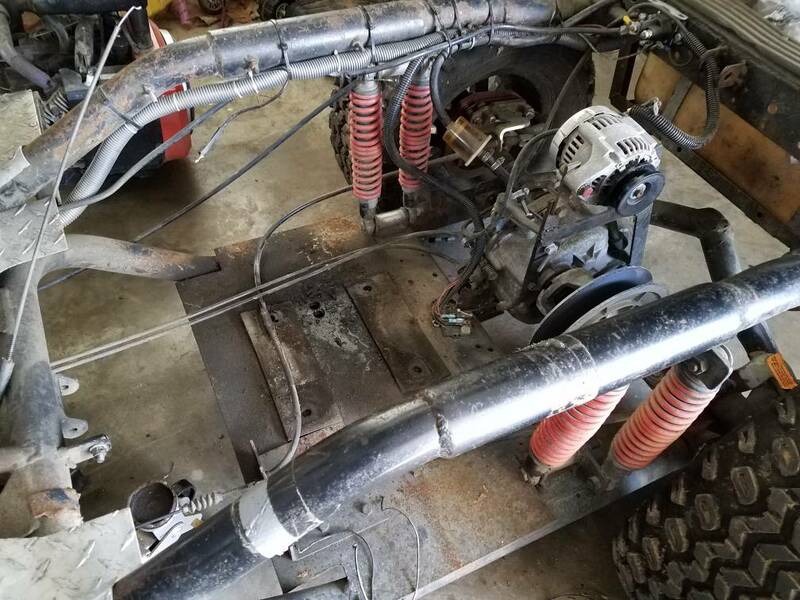 I could have mounted it lower in that location by shortening up the adjustment arm (turnbuckle) but it was still gonna be too tall and the electrical connections on the gennie also interfered with the throttle. I'm going to try putting it down in front now. Concern there is how far ahead I can go before running out of room? I have the cart apart so I can't just eyeball it. Adding generator pulley beside drive clutch Big Block Talk!